ROCKY MOUNT, N.C., Oct 26, 2018 (SEND2PRESS NEWSWIRE) -- Steve Harvey's "STEVE" and Capital Ford of Rocky Mount give the surprise of a lifetime to local Rocky Mount woman, Jaylesya Corbett. Capital Ford of Rocky Mount teamed up with Steve Harvey's hit syndicated daytime show, "STEVE" to donate a New 2019 Ford Fiesta to help Corbett get to work easier. Corbett's story received national attention after Nash County Sheriff's Officer, Scott Bass, noticed Corbett walking alone while he was on patrol. "One morning, at this intersection, I saw a young female walking and it was really, really cold. It was wet, so I could see she had bags on her shoes to keep them dry. I could also see by her dress that she worked for Bojangles," said Sgt. Bass. Curious by what he saw, he offered to give Corbett a ride and discovered that she walked over 12 miles a day to get to and from her job at Bojangles Chicken 'n' Biscuits. She would leave her home at 3 a.m. every morning to be at work by 5am. This work ethic struck Sgt. Bass and he soon began giving her rides as often as he could and also asked his co-workers to do the same. Realizing that he could not always be around to help her, he contacted the Walmart in Nashville, N.C. and spoke to some of the managers. He showed them a bicycle that he saw in the store and Walmart generously donated the bike to Corbett. After Corbett's story and the generosity of the local community made national news, Steve Harvey's "STEVE" knew that they had to help Corbett, so they reached out to Capital Ford of Rocky Mount. "Upon hearing the story of Jaylesya, we were inspired to help in any way we could. When producers at 'STEVE' reached out to us with their idea about giving her a car, we knew that there was no one else more deserving! We were thrilled to be able to partner with the show and help present her with a New 2019 Ford Fiesta!" said General Manager, Will Pritchett. For more information on the "STEVE" show, please visit https://www.stevetv.com. 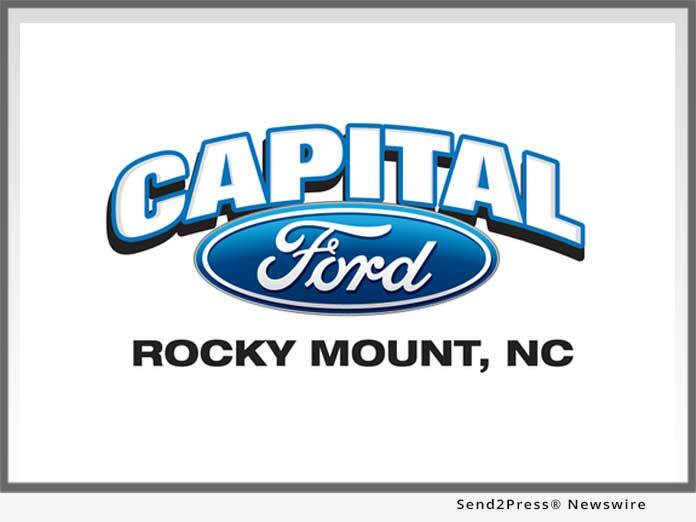 For more information on Capital Ford of Rocky Mount, please visit https://capitalfordrockymount.com. Capital Ford of Rocky Mount is part of the Capital Automotive Group. With 18 stores and counting, The Capital Automotive Group has locations across North Carolina. Since inception, Capital Ford of Rocky Mount and Capital Automotive group has made it the core value to provide excellent customer service and remains committed to its customers, staff, and communities it serves.